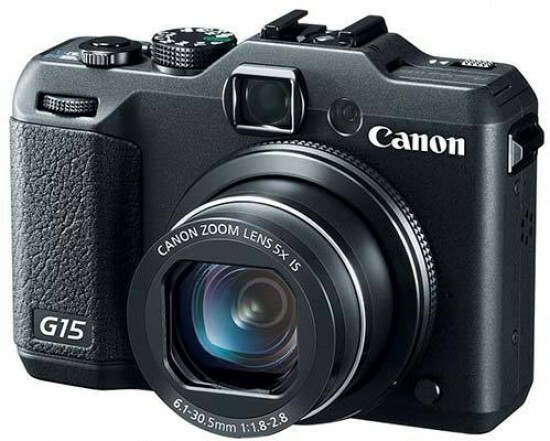 The new Canon PowerShot G15 is the most well-balanced G-series camera to date. It may not offer the admittedly more versatile articulating screen of its predecessor, the G12, or the DSLR-like image quality of its big brother, the G1 X, but the combination of greater portability, faster lens, higher-resolution screen and smaller size is a winning one. The Canon G15 offers enough new bells and whistles to make it a worthwhile upgrade from the previous model and keep it competitive with its main rivals, most notably the very similar Nikon Coolpix P7700. The high price-tag does put it directly in the firing line of several entry level DSLRs and and the new wave of Compact System Cameras, which ultimately offer better image quality particularly at higher ISO speeds, but then they're obviously bigger in size. Key improvements include the much faster lens which really makes the G15 a more versatile camera than its predecessors, full 1080p video shooting, although there's still little creative control on offer, faster 10fps continuous shooting, snappier performance and the fixed LCD screen which allows the camera to be significantly smaller and lighter than the G12.